October 13th, 2018 - Does My Bomb Look Big In This? There’s something very satisfying about finishing work, heading into a bar, and them being thoughtful enough to deliver you a little snack with your first, take-the-edge-off drink. Perhaps to curb the effects of an increasingly drunken workforce, delivering something tasty with your drink became a practice that still exists in places like Granada, Spain today. 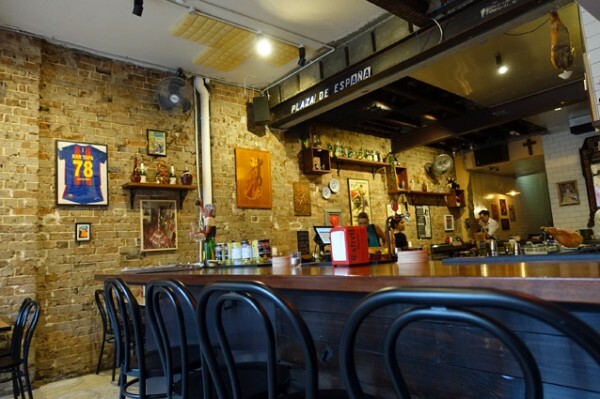 I suspect I wanted to like Bar Tapa because of my enthusiasm for this Spanish style of eating and drinking, more than I actually liked their food. 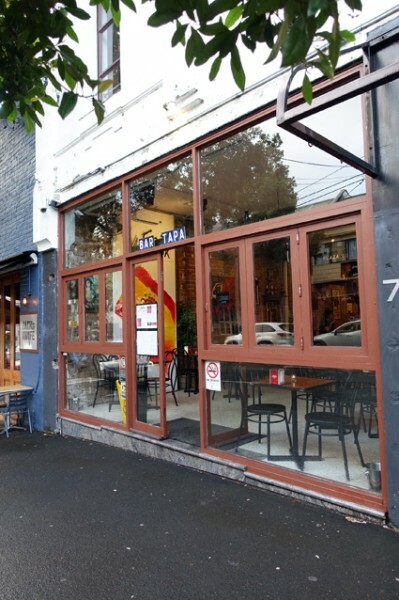 The venue has taken over the Stanley Street space briefly occupied by Lazy Suzie (which then became Lucky Suzie after a tussle over a trademark). 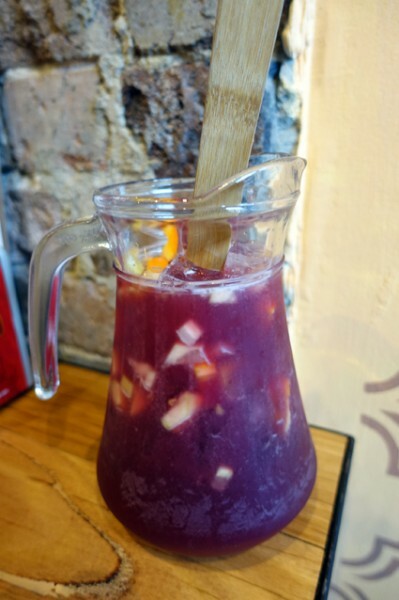 The exposed brick walls are now home to wall-to-wall Spanish memorabilia, which we take in over Sangria ($40/jug) that’s light and accessible. 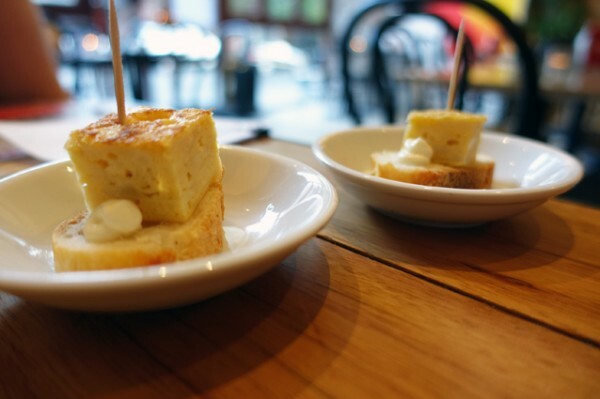 Our accompanying pincho (Spanish for thorn or spike) is a toothpick-speared slice of Spanish omelette on bread - bland but it does the job to ease those hunger pangs. With good bitterness from Pampelle L'apero Aperitif (ruby red grapefruit liqueur), blended with gin and sweet red vermouth (verut tinto), the Terroni ($14) would also make a good pre-dinner tipple. 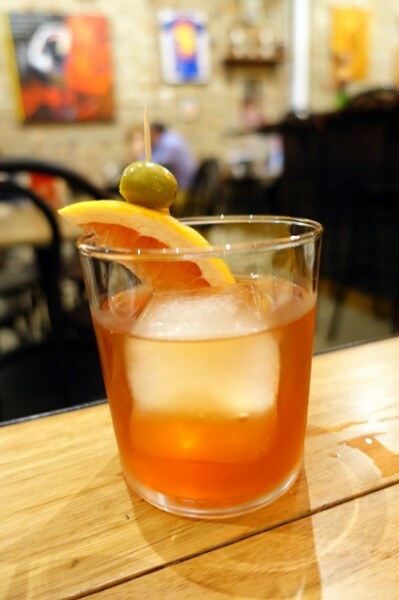 You'll like it if you are partial to a Negroni. Me, I’m mostly a martini drinker, and as such I enjoyed the Martini De La Casa ($14). 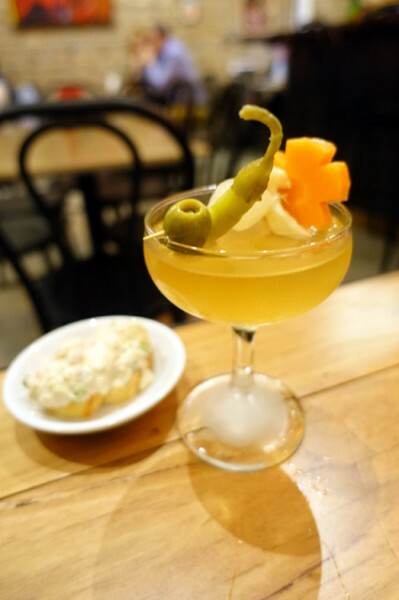 It packed a surprising blast of heat from the brine being used for more than just olives, as the banderilla (named for a bullfighter's decorated dart) of pickles should have given away. 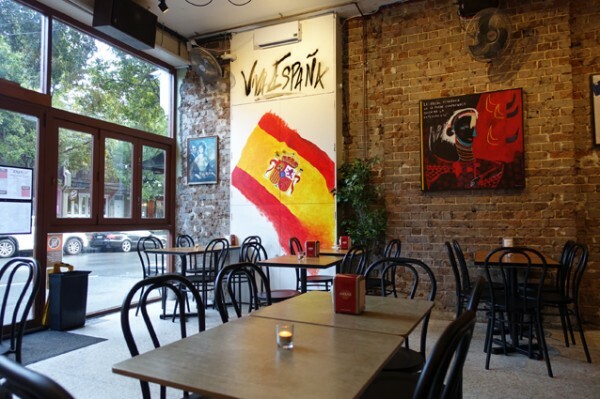 While the drinks were good, our tapas were a bit less exciting. 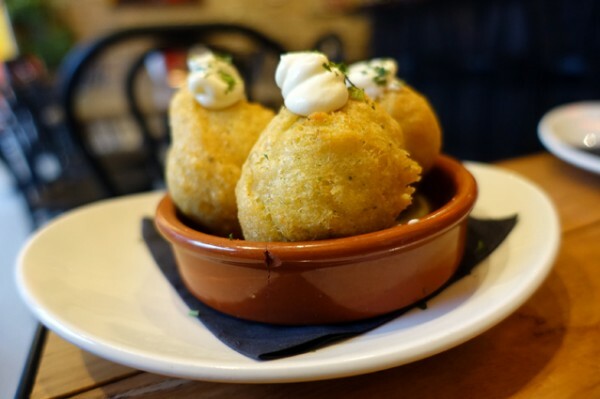 Buñuelos de Bacalao ($9) here are made with fresh cod rather than the pungent, salted dried cod you might be used to, which made them eat like mildly flavoured crisp, potato balls. 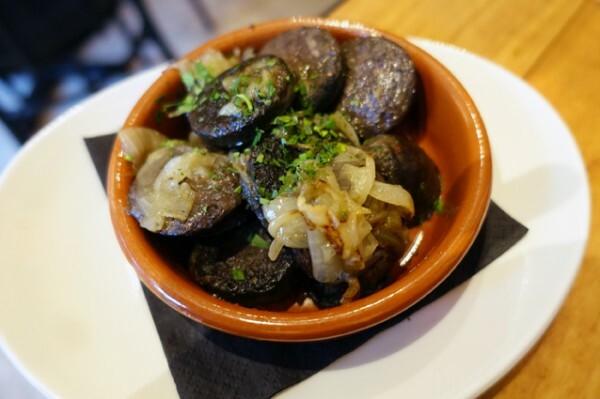 Morcilla Encebollada ($9) was a bit better in the flavour department, with mild rounds of blood sausage served under a spoonful of slow-cooked onions and a dusting of parsley. A dish this simple lives or dies on the quality of your morcilla. 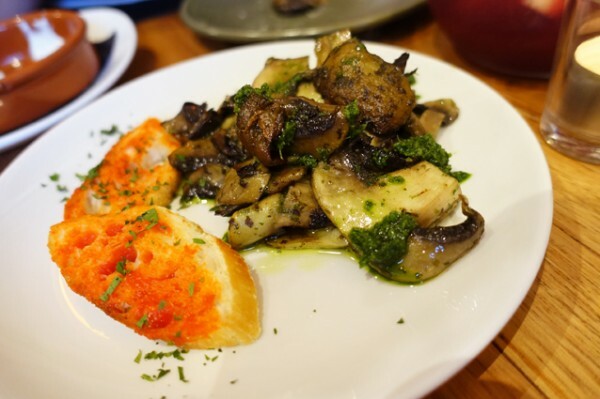 I wished the Champiñones a la Plancha ($9) came as button mushrooms, with their caps containing a big burst of garlicky oil. Instead they were served as parsely-dominated slices that cooled too quickly on the plate, leaving me with precious little to mop up. 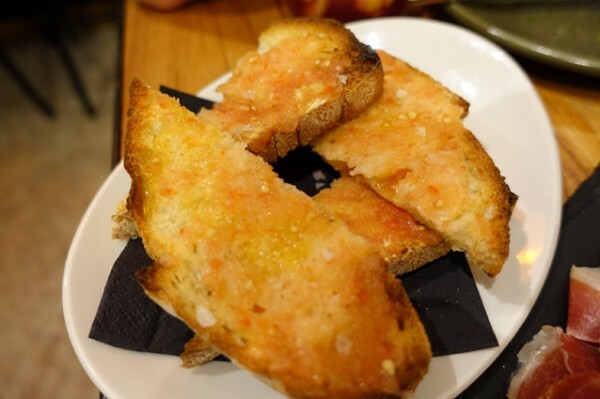 This may have been fortuitous, because crusty bread was in short supply - the dish only came with two morsels of pimento piquillo paste-topped﻿﻿ bread. We foolishly ordered Pan Con Tomate ($4) to eat with our embutidos (meats) and quesos (cheese) but only because it was the only menu option that we noticed that fitted the bill. 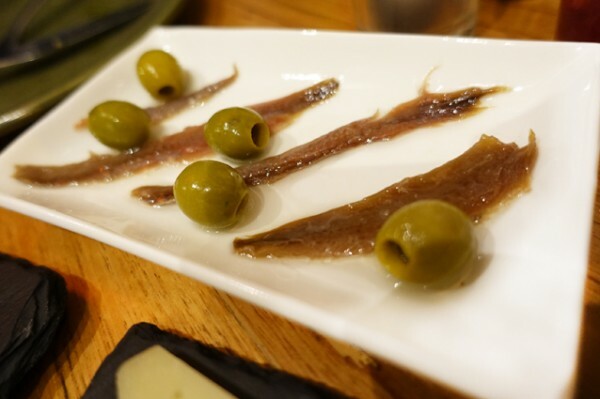 Would have loved to have been steered towards crusty bread, because the tomato and olive oil rubbed sourdough only worked against Anchoas ($6) – a little plate of four anchovies and pitted green olives. 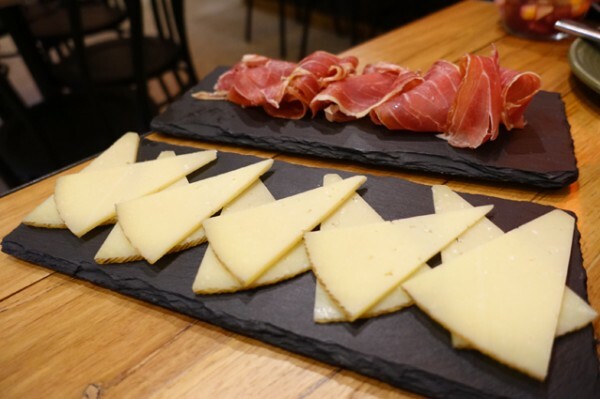 Twelve-month old Manchego ($12) and Jamon Serrano ($12) would both have been better against plainer bread. Service was pleasant, though I probably would have drunk another round of cocktails if it had been more attentive. I found it slow to catch their attention, particularly as the loud, echoing space began to fill with noisy groups.